What you do in Vegas may stay in Vegas, but what you save on Travel to Las Vegas, you get to spend on yourself having more fun! When it comes to visiting the gambling and entertainment capital of the world, you can never have enough money on you. There are so many things to do day and night you’re going to want to spend as much time as possible when you go. One way to get more out of your trip is by saving money when traveling there and back again. No matter why you’re going to Las Vegas, if you can save money on travel expenses, you’re going to be able to spend more when you arrive. Here’s seven ways to make sure you save as much as you can when traveling. Buy Tickets in Advance – One of the first things you should do to save money on travel to Vegas is to shop for your tickets as early as possible. The longer away you get from your departure time, the less you’re going to pay most of the time. Buy Tickets Online – Additionally, if you buy tickets online, you can usually lock in even more savings. This is especially true if your departure and arrival dates aren’t too strict. Rack Up Miles – If you’re a frequent flyer, be sure to log your miles flying to Las Vegas. You may not be able to use this right away, but over the course of time it can lead to savings. Travel in Coach – While flying first class is nice, imagine how much money you can save by flying coach – and how much more fun you can have with that money once you arrive in Vegas! Accept Layovers – Sometimes you can get a cheaper price on plane travel if you go with connecting flights. While you’ll need to fly on more than one plan and it can be a hassle, the savings can add up. Take the Bus or Train – Depending on where you live, you may be able to take a bus or train to Vegas and get there even cheaper than the cheapest plane tickets. Just be sure to calculate the time and cost before you make a decision. Rent and Drive – If you get a compact car and can find cheap gas, you may be able to save even more money by renting a vehicle and car pooling with other people you know who want to go to Vegas. 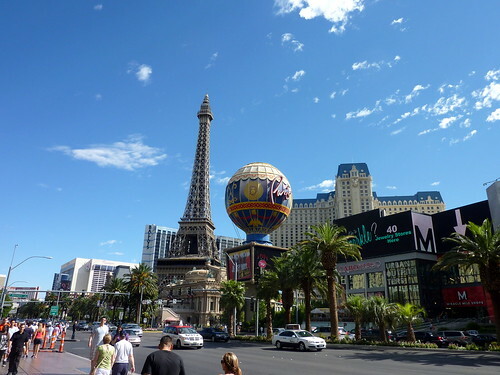 Following the tips and advice above, you can save quite a bit of money on travel to Las Vegas – which means you have more money to spend on yourself once you arrive. Sheila Kurdinger has visited Casamundo several times, and each visit she’s more impressed by what she sees. She’s traveled to quite a few places around the planet, but there’s still many places she’d like to go someday when she has a chance.